When you look at Drake's discography, he’s always shown love to women in the world and in his life. Are you not entertained? No, seriously. 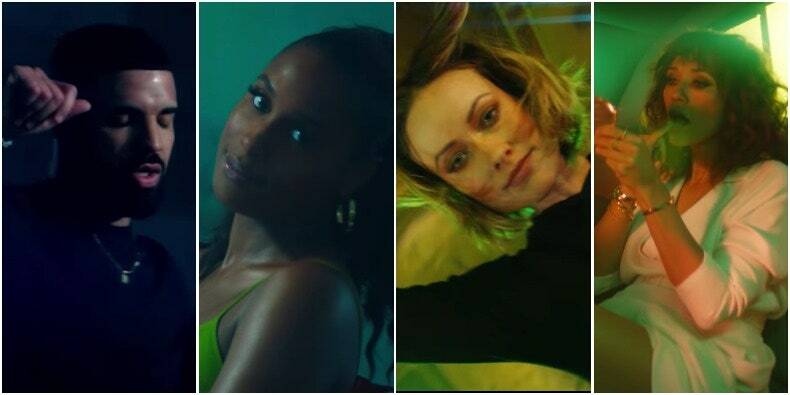 This past weekend Drake dropped off yet another big track with single “Nice For What.” The release came with a video featuring some of the biggest women in the entertainment industry today, including Issa Rae, Yara Shahidi, Tracee Ellis Ross, Olivia Wilde, Syd, Rashida Jones, Letitia Wright, Jourdan Dunn, Misty Copeland, Elizabeth Lejonhjarta, Victoria Lejonhjarta, Emma Roberts, Tiffany Haddish, Bria Vinaite, Michelle Rodriguez, and Zoe Saldana. Beauty, brains, talent, and excellence. I didn’t say female excellence or women’s excellence, because these women and what they have accomplished should not be diminished by attributing a label based on their gender. I would need a whole other article to speak on their careers alone, and I might just do it. Drake took time out to celebrate the women, providing yet another track adorned with worthy Instagram captions. He acknowledges their struggles, their affinity for selfies, and their lack of necessity to be nice or tied down to these dudes. As one of said “dudes,” I could’ve easily seen this as pandering, but it was really and truly giving these women -- and all women -- their due recognition. The most powerful part for me was watching Issa Rae yell at a table full of Caucasian men in suits, and then smiling at the camera while holding a sign saying “I Do This.” You do, sis, you do. I’ve always been of the mindset Drake makes his music for the women, to an extent. So many rappers and regular dudes have come for him and he has rarely ever replied. At this point in his career, though, he has nothing to prove to anyone -- especially not to any other man, when the women continue to consume his music so heavily. He’s definitely crooned and longed for the love of previous women in his life. This song and video, however, was truly paying homage. I’ve seen murmurs of how he’s capitalizing on the recent movements and efforts to uplift our queens, and it’s certainly valid. However, saying such a thing comes off as if he’s being what people love calling him, a “culture vulture.” The validity of that is lost when you look at his discography, he’s always shown love to women in the world and in his life. Tracks like “Fancy,” “Look What You’ve Done,” “You & The 6” are just a few notable ones of the many times he’s abandoned the typical misogyny in rap, and expresses some positivity toward our women, who really do endure a lot. The best part is this video was directed by Karena Evans, a 22-year-old director from Toronto who was also responsible for the “God’s Plan” video. She is referred to as “the first lady” of Popprok, a production company known for its strength in conveying meaningful narratives through mainstream forms of art, like music videos. So not only was the Degrassi star celebrating the women, but he enlisted one to help him properly do so. The video showed more of them than him (doing his typical awkward dance moves), and it was especially great because they displayed their individual beauty without having to reveal their bodies -- a common stereotype for music videos. The video ended by mentioning each woman by name, so they’d get their proper recognition, and I’m sure their names’ presence in Google searches has increased rapidly as a result. His album in the works, though we have no sign of when it will be coming. With the tracks we’ve gotten so far, Lord knows what his angle will be this time around. Although, he never really does have just one angle; his music is strong because it is diverse. “God's Plan,” “Diplomatic Immunity,” and “Nice For What” alone bring three very different vibes. Time will tell, it’s just a matter of how much time it’ll take.